When carrying a full load the Komatsu 930 axles together support more than a million pounds of weight. To move this substantial payload requires effective lubrication. When new or rebuilt wheel motors are installed there is a break in period where motors are flushed every 500 hours. At the end of the break in period 5 or 6 oil changes have been completed in a very short period of time. Rather than performing all these oil changes wheel motor oil can quickly be flushed and filtered. The hot oil flushing process not only saves numerous oil changes during the break in period but also cleans the internal gearing which a typical oil change cannot accomplish. During normal operation there is considerable savings by extending the life of the oil by 6-8 times. 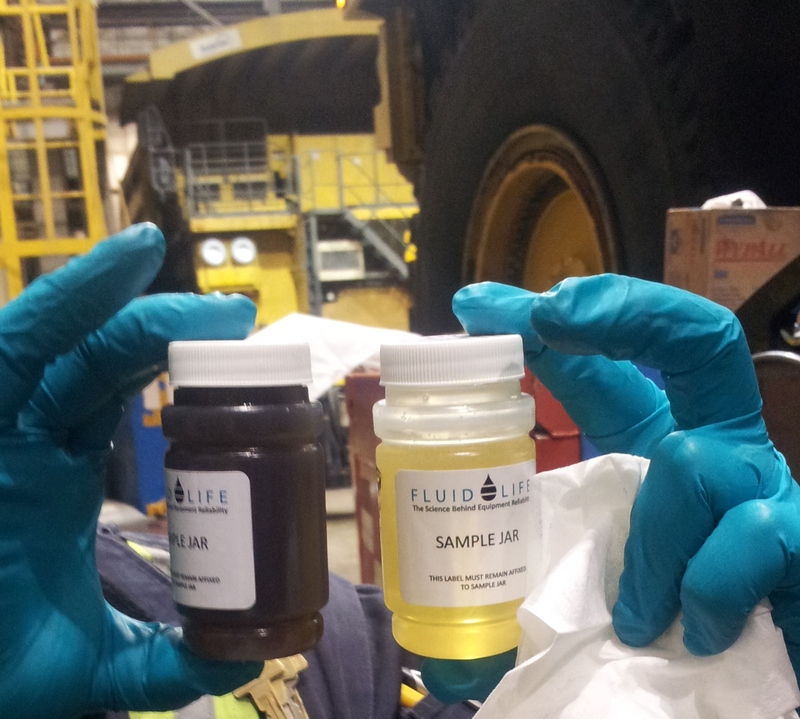 The truck shop maintenance team was very pleased with the filtration results. In 2 hours of flushing the wheel motor oil went from ISO 24/21/15 to 17/15/10 which is cleaner than new gear oil.